Automatic and manual ball valves represent one of the simplest and more reliable methods for on-off flow switching of valves. With only a quarter turn needed, they’ve become a standard in almost every industry. SEMCOR has been a key supplier of manual and automated ball valves in the Midwest for years. We provide industrial ball valves for the most common as well as unique applications throughout the region. Chlorine manual and automatic ball valves are engineered specifically for dry chlorine piping and can also prevent over-pressurization when closed. 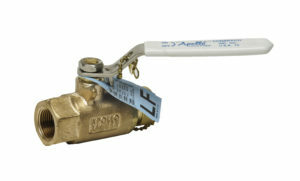 Steam service automatic ball valves reduce waste and dangers from leaking valves in steam systems. Ball valves tend to resist the corrosion steam systems can generate and maintain a stronger seal. Thermal custom ball valves are designed specifically to address systems with high-viscosity thermal fluids and keep the seal with a minimum seat load. 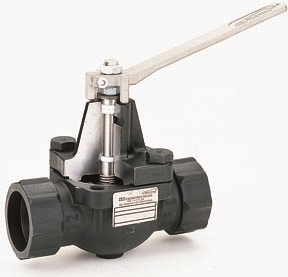 Apollo Valves: Industrial Ball Valves – Contact us for specific product information. These ball valves represent industry-leading engineering and support designed to meet a significant range of applications from fluids under constant, significant pressure to especially viscous or corrosive fluids in mission-critical systems. Not only does SEMCOR stock industry-leading ball valves, but we also provide a full shop for automating valves per your specifications. Our state-of-the-art fabrication service includes a full examination to ensure that your ball valves were customized to the correct specifications and perform well in the field. We’re a leading ball valve supplier because our commitment to quality is unquestionable. You can visit our fluid handling pages or use the links below to browse our entire selection of ball valves. You’ll have plenty of options to choose from to meet your industrial ball valve needs. Need a hand? Contact us directly to get answers to your questions, learn about specifics or see if a custom ball valve is right for your application.